Our approach is the first of its kind, designed by subject matter experts to facilitate learning, enable creativity and boost confidence. After a worldwide search to find the world's best practices in education we have developed a distinguished approach to early learning held to the highest standards. Beyond having fun, our students’ days are productive and full of learning. We prepare our students for future success by providing an early classroom experience. 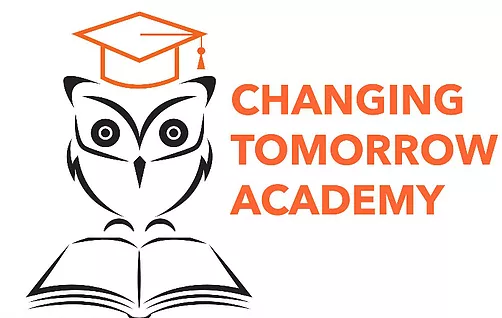 Changing Tomorrow Academy's approach focuses on building cognition, increasing mental IQ, promoting creativity, teaching manners, and much more. Children take what they experience with us and use it as a secret weapon for years to come! Our commitment to excellence in early childhood education is demonstrated by our expansive selection of programs: 16 different subjects ranging from Rhetoric class, Robotics and 3D Printing, courses in Classical Music, Etiquette class, Chess club, Yoga sessions, a variety of Dance classes and so much more!!! From contemporary to latin, our progressive dance classes cultivate creativity and promote confidence. All aspiring ballerinas, rhythm explorers and those kids who just can’t sit still are welcome to groove with us. Your child is guaranteed to have a good time. The game of chess is an excellent way to improve abstract and critical thinking skills, while having fun along the way. Children will stimulate their minds and learn top secret strategies from our Pro instructors. Teaching children maturity and enhancing respectfulness, this class aims to promote the ideals of proper etiquette, good manners and increase mental IQ. Classes will offer, but not be limited to, French, Japanese, Italian and Spanish. Equipping kids with the tools needed to guide and help them compose successful writing and presentations. Our instructors will show children the art of writing and speaking in a well-presented manner. Exciting and an innovative approach to learning math and science, while discovering how things work. This class will help build problem-solving skills and introduce kids to the inner workings of technology.